By Lori Ferraro Is your boyfriend still trying to solve his childhood Rubik’s Cube? Does your b/f/f miss playing hours and hours of Space Invaders? Is your Mom obsessed with Duckie Dale? 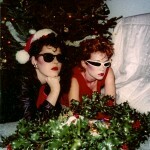 Here are some great gift ideas that are perfect for the ‘80s fanatic in your life. A mix tape you can wipe your feet on – I love this. 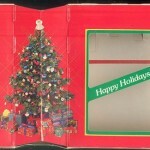 This doormat will surely relieve the holiday “madness” at your gift exchange. 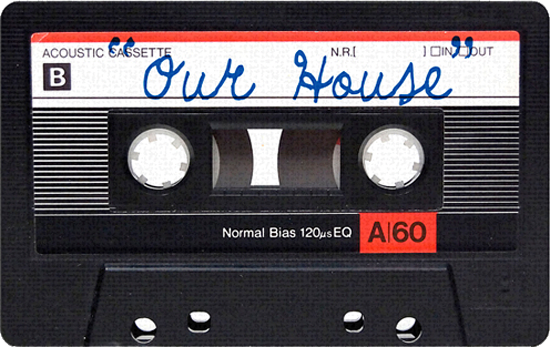 An old school cassette tape with “Our House” written in script with a ballpoint pen. Brilliant. I am buying this for myself. Buy here. I recently received this as a gift and it’s fantastic – there are lots of great bonus features and behind the scenes footage along with a sad explanation by Molly Ringwald as to why she and Duckie didn’t end up together – I don’t want to ruin it for you – the commentary by director Howard Deutch is so interesting and hearing all the lovely things they say about John Hughes is heartwarming. 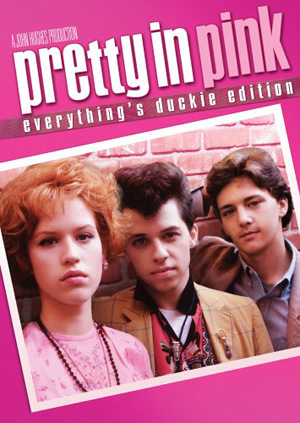 And did you know that Robert Downey Jr. was originally supposed to play Duckie? Neither did I! See? You need to give this gift! Buy here. The gamer on your Christmas list can play all the classics, Asteroids, Centipede, Combat and even the game that started it all – PONG. Just plug it into the TV set, grab the classic joystick remote and play for hours just like you used to in your footie pajamas. It even has the same wood grain paneling as the old Atari 2600 did. *Sigh* Buy here. This is too adorable/hip for words. 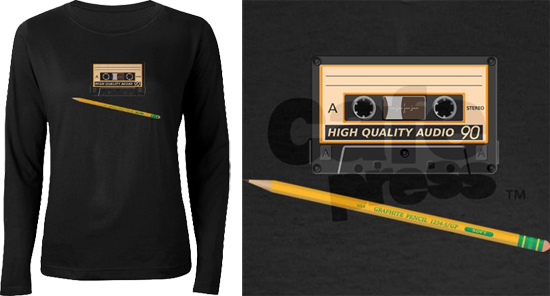 Back in the 80s a cassette tape and a pencil went together like peanut butter and jelly – how many mix tapes lives were saved thanks to a good old fashioned number two? This will make your friends smile and make young people confused. You need this. And you need to buy another one for your best friend for Christmas. Buy here. How fun and retro are these little babies? 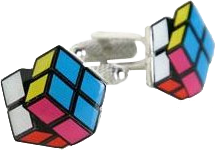 I mean if you have to go somewhere fancy enough to warrant cufflinks your date should be wearing these, don’t you think? What a unique gift, I love it! Buy here. We didn’t have On Demand or Netflix, we had to watch our cartoons when they were on TV. On Saturday morning we would get up at the crack of dawn, get a mug of Apple Jacks and hunker down in front of the glowing box for a couple of hours. 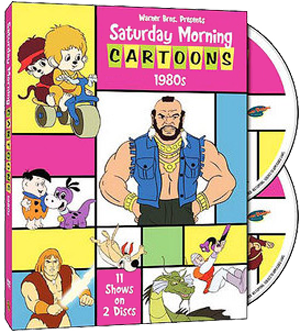 This set includes Mr. T, Thundarr the Barbarian and Monchichis. Saturday morning bliss anytime you want it – what a great gift! Buy here. Remember albums? I do! I miss my vinyl and wish so hard that I didn’t sell the majority of them. 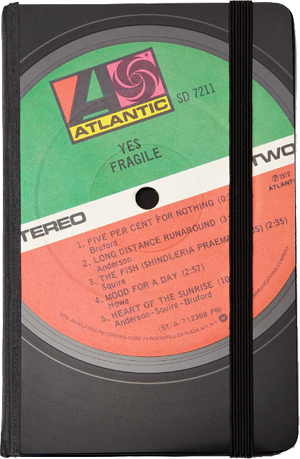 This sweet little journal will fit in your back pocket or purse and is perfect for making lists of the 80s music you need to download when you get home. For people like me who just don’t like typing out their grocery lists on their phones, this is a great gift. Buy here. 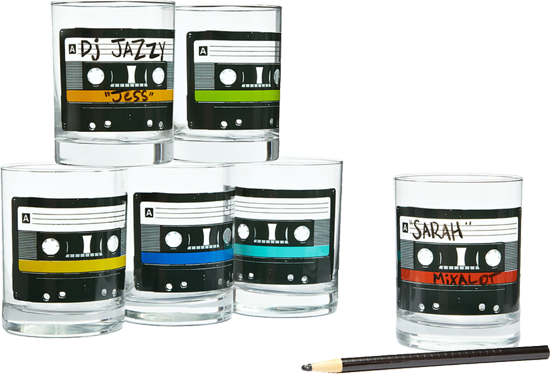 These cool glasses come with a pencil so that you can write your name or favorite band on them – how fun is that? Or maybe it’s a mix tape called “Slow Grooves” like I had back in the day. Or “I LOVE BRIAN” – I had that one too. 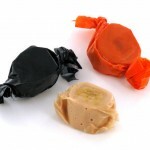 What a fun gift to give, who wouldn’t love these? Buy here. 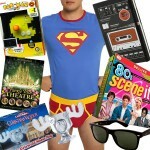 For the ultimate 80s video game lover! Will you choose to give Inky? Blinky? Pinky? Or perhaps Clyde? Handmade, one of a kind, these tables are bright, fun, and a nostalgic piece of art. If Santa ever left something as awesome as this under my tree I would be forever grateful. Buy here. Happy Holidays everybody, I hope you’ve been good this year. I’m off to drink some eggnog and watch Christmas Vacation. After that I’ll wash my face with some Noxzema and put on a little “Last Christmas” by Wham and look at the pretty tree lights. Merry Christmas, I’ll see you at the mall.